Value of University Degrees – What do Maltese Students Think? Nowadays, the trend seems to be moving towards post-graduate education. 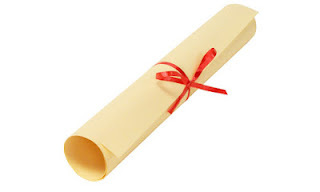 First degrees are not enough. Perhaps a result of the ‘education inflation’ that we’re living in these days, students feel the need to pursue higher education, given that what they have might just not be enough. This applies at both local and international scale. In the US, for instance, the total post-graduate enrollment figures in degree-granting institutions increased from 1,767,557 in 1998 to 2,293,593 in 2007 (NCES, 2009). In the UK, from 2000 to 2006, the postgraduate population rose by over a fifth—from 448,695 in 2000/1 to 545,370 in 2005/6 (Mok & Ball, 2008). In Malta, the traits were relatively the same, where the number of students earning a master’s degree from the University of Malta alone has increased from 166 in 1998 to 395 in 2007 (University of Malta, 2008). Meanwhile, post-graduate education offered by foreign universities within the private sector in Malta is also evolving considerably (NCHE Malta, 2011). It is undeniable that people are giving post-graduate education more value and importance. A small study was carried out among 11 graduate students with the prime end to investigate and to acquire a deeper understanding of adult learners’ perceptions towards post-graduate education and its value in their lives. Several emergent themes were noted down , where some of the most common ones included the following: (a) increased self-esteem, (b) professional expertise, (c) professional growth and fulfillment, (d) good pay, (e) job satisfaction, and (f) self-confidence and respect. 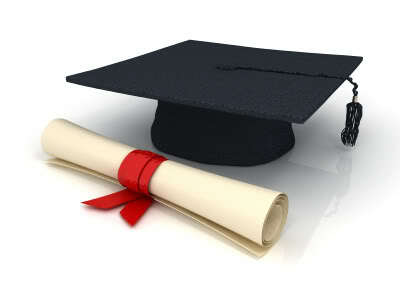 Two participants stated that a degree could enrich the graduate both in knowledge and in his or her confidence. All the 11 participants agreed that a degree could equip them with the required tools to set off for their work. Does this lead, however, to essentially better workers? Two participants agreed that a degree goes to making a better worker. However, three participants claimed that ‘competence’ and ‘experience’ were required in addition to the degree. Two other participants mentioned ‘professional expertise’ that subtly interweaves with what three other participants claimed to be ‘the personal growth and fulfillment’ obtained from degrees. Nearly all the participants agreed that a degree enabled personal growth and fulfillment to the extent, however, that one continues to hone his or her skills and thereby grow in her or her expertise. In other words, they were in favour of lifelong learning, which, in addition to pro-activeness can lead to progress—both for the individual as well as for his or her workplace. What do you think? Is a degree really valuable after all? Unemployed? Here's what you can do! As a wise man once said, ‘If you don’t live through a bad day, you never know what a good day was’. Although being unemployed can sometimes extend over a longer period of time, and hence, the ‘good days’ may seem to be over and done with, keep in mind that this is a phase that will, with your own contribution, come to an end. The following are some ideas that you can do if you are unemployed. One hint: Never give up. 1. Take a class. Join a class or take up a new hobby and get to know some new, interesting people who might have similar tastes to you. 2. Volunteer. Several employers give weight to voluntary work. Apart from building social skills, teamwork, and helping others, volunteering can help you in many ways. You can volunteer in an area that is directly or indirectly related to your work or line of career that you would like to pursue. 3. Make connections. A resume handed to the hiring manager directly from someone within the company gives you a heads up to other candidates. It is crucial to expand your network of contacts through social media for instance, Linkedin, Facebook, and Twitter. Ask your friends, family, and ex-colleagues for references and contacts. Whatever you do however, do not hide. Almost all of us had been unemployed in some point of our life. Let everyone know that you are struggling to look for a job. Chances are that your inbox will end up flooded with tons of vacancies you could apply for. 4. Update your CV. It is imperative to keep this succinct, updated, and attractive. Flaunt your assets and make your best to stand out from the crowd. 5. If you like writing, why don’t you start a blog? You can either scribble random stuff about whatever interests you, or else (and perhaps more wisely), invent a blog about a business that you would like to set up or get into in the near future. It would be apt to conclude on the wise words of the late, great Steve Jobs: ‘Your time is limited, so don't waste it living someone else's life. Don't be trapped by dogma - which is living with the results of other people's thinking. Don't let the noise of other's opinions drown out your own inner voice. And most important, have the courage to follow your heart and intuition. They somehow already know what you truly want to become. Everything else is secondary’.